Pum-per-nick-el is such a funny word! 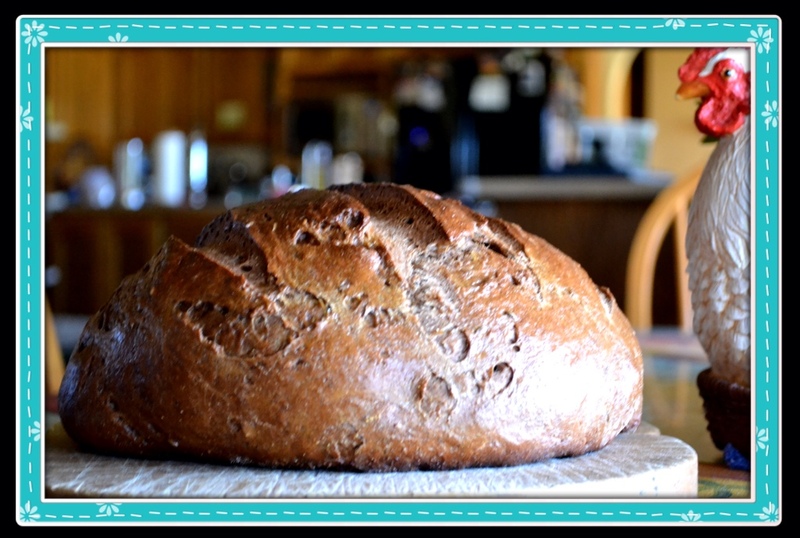 Pumpernickel bread had it's German beginnings in 1756. The actual meaning of pumpernickel comes from 2 German words: pumpern, meaning to break wind and nickel, meaning goblin, or goblin fart! Anyway, seems pumpernickel bread was given that name because some thought it was indigestible. I can attest to the fact, this bread is very digestible and packed with flavor! 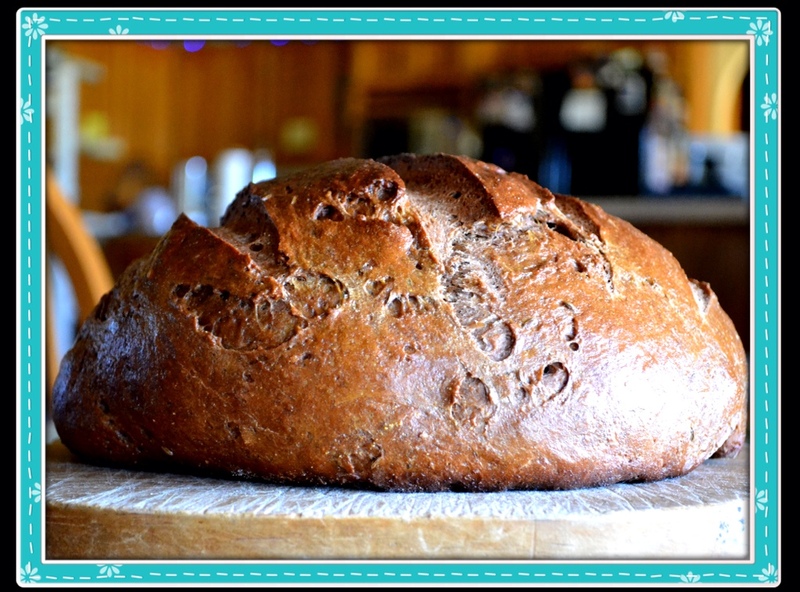 Pumpernickel has a stronger flavor than most peasant breads, but is very delicious! My Gram always introduced us grandkids to pumpernickel with a good slathering of sweet butter and a thick layer of crunchy peanut butter. Pumpernickel comes in 2 types, light and dark. Light pumpernickel gets its flavor from rye flour, molasses, caraway seeds and unsweetened cocoa. Dark pumpernickel gets its flavors from rye and whole wheat flour, molasses, unsweetened cocoa, brown sugar, coffee, caraway seeds. This wonderful light pumpernickel makes a great Reuben sandwich! Remove bread pan from bread machine before adding ingredients. Add ingredients in order through the flours. Add caraway seeds and unsweetened cocoa to the outside edges of flour. Make a shallow well in center of flour and add yeast. 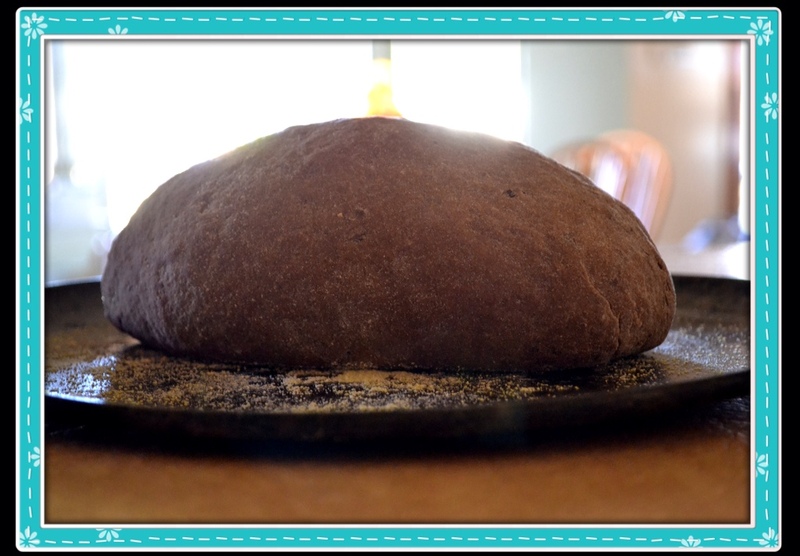 Click filled bread pan into place and set bread machine on DOUGH Cycle (1:30). When bread machine is finished, remove dough to a lightly floured surface. Shape in to a round or oval and place on a cornmeal dusted baking sheet. 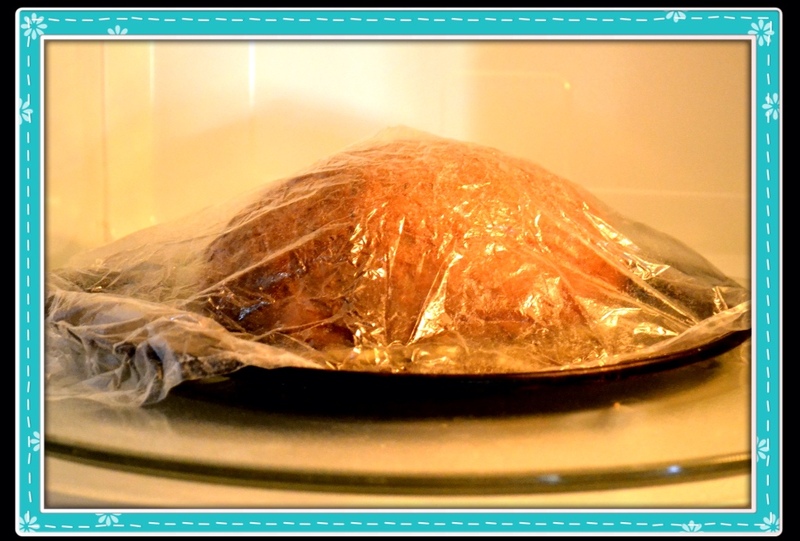 Cover lightly with well greased plastic wrap, let rise in a warm place (I use my microwave keeping the light on and the door closed) until doubled, about 1 hour. Preheat oven to 350F. after the bread has risen 45 minutes. With a sharp knife make 3 to 4 slashes, 1/4-inch deep across the top of bread. Bake 27 to 30 minutes at 350F. Slice no thicker than 1/2-inch slices because of this bread's denseness. 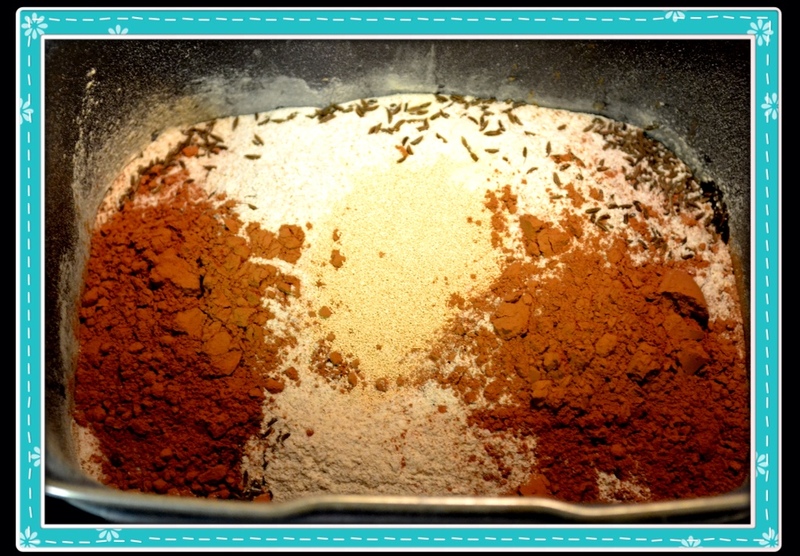 Sprinkle cocoa and caraway seeds around the edges of flour and add yeast to shallow well in center. 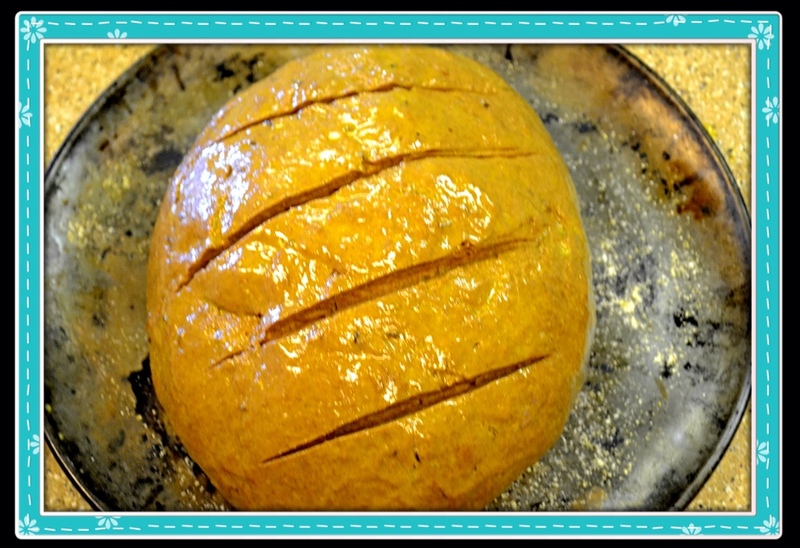 Cover shaped loaf with well greased plastic wrap and let rise in warm place til doubled. Slash with sharp knife 1/4-inch deep. This is a beautiful loaf you can be proud of! My Gram taught me to love the Pumpernickel, rye and black Russian breads as a little kid. They add so much flavor to a ham, pastrami, turkey, corned beef or any meat, with an added slice or two of a good cheese, for a suberb sandwich. Pumpernickel also makes a great grilled cheese sandwich, and of course, Will's favorite ~ toast with crunchy peanut butter! Light Pumpernickle Bread is always a welcome treat . . . Over at Julie's!! !